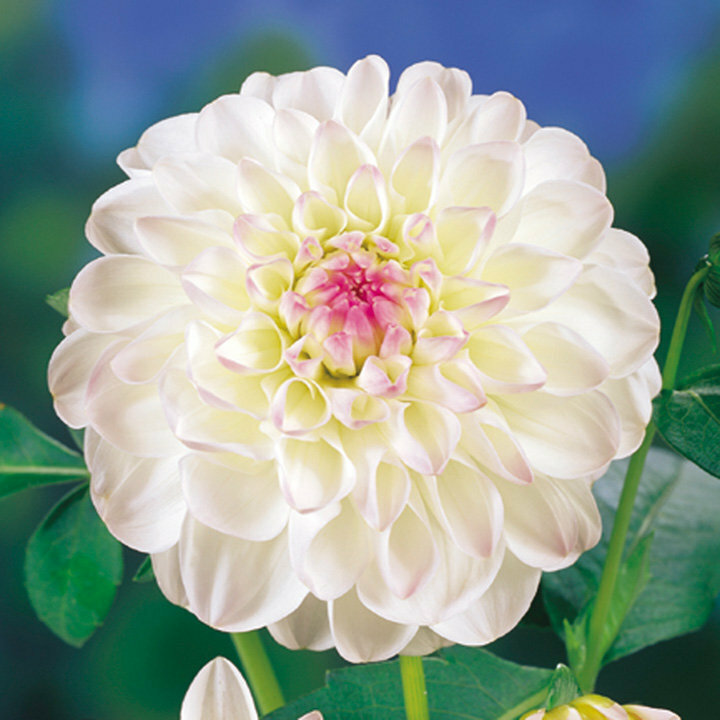 Dainty, decorative dahlia with globe-like flowers, producing pink-flushed petals and the appearance of dark pink eye. Flowers August-early November. Height 90-100cm (3-3½'). Decorative type.